The purpose of this Interpark Corporation Member Agreement (the "Agreement") is to set forth rights, obligations, and responsibilities of the Company and Users in using electronic commerce related service (the "Services") where http://globalinterpark.com (Interpark Global Shopping Service) and http://ticket.interpark.com/GLOBAL (Interpark Ticket Global Service) provided by Interpark Corporation (the "Company") are accessed from one single account. 1. 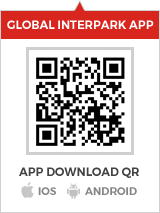 "Interpark Corporation" means a virtual place of business (http://globalinterpark.com, http://ticket.interpark.com/GLOBAL/) which the Company creates in order to transact products and services through communication devices such as computers, etc., in order for Company to provide products and services to Users. In addition thereto, it also means the business operator which runs the cybermall; provided, however, that the term shall be limited to global marketing sites, excluding I-Point malls, domestic shopping, marts, discount store, show/movie and www.playdb.co.kr. 2. "User" means Members and Non-Members who have access to the Company and are provided with the Services by the Company pursuant to this Agreement. 3. "Member" means a person who has registered as a member by providing the Company with his/her personal information, continues to be provided with the Company's information and who can continue to use the Services provided by the Company. 4. "Non-Member" means a person who use the Services provided by the Company without registration as the Member. 6. "Seller" means a person who has agreed to Interpark Corporation Open Market Seller Agreement and Interpark Global Shopping Seller Agreement. It also means a person who intends to sell certain products and registers such products in accordance with the online forms provided by the Company. 7. "Buyer" means any User who shows his/her intent to purchase product or services in accordance with the online forms provided by the Company, including both Member and Non-Member buyers. 8. "I-Point" means electronic prepayment method in the form of mileage issued and managed by the Company to be used by Users to pay for purchased products and services on the websites- http://globalinterpark.com or http://ticket.interpark.com/GLOBAL. 1. The Company shall post this Agreement, its business name, the place of business, the name of representative, contract information (telephone, fax, email, etc.) on the first page of its website so that Users can recognize them; provided, however, that contents of the Agreement may be seen by the Users in the page linked from the website. 2. The Company may amend the Agreement to the extent that such amendment does not violate relevant laws such as Regulation of Standardized Contracts Act, the Act on the Consumer Protection in the Electronic Commerce Transactions, etc., and Framework Act on Consumers. 3. In the event that the Company amends the Agreement, it shall announce the effective date thereof and reasons for such amendment, along with the current Agreement on the first page of the website or a popup window from seven (7) days through one (1) day prior to the effective date. 4. In the event that the Company amends the Agreement, such amended Agreement shall apply to agreements executed since the effective date of the amendment and any agreement executed prior to such effective date shall be governed by a previous version of the Agreement prior to such amendment; provided, however, that in the event that a User who executed an agreement prior to the amendment conveys his/her intent to have such amended Agreement apply within the notice period pursuant to Article 3 to the Company and obtains the Company's consent thereto, the amended Agreement shall apply. 5. If any User requests review of the Agreement which he or she agreed to at the time of joining membership, such Agreement shall be sent to the User's email in the form of link therein. 6. Any and all matters not set forth in this Agreement and construction of this Agreement shall be governed by general custom of the trade and relevant laws such as the Act on the Consumer Protection in the Electronic Commerce Transactions, etc. 3. Other services designated by the Company, etc. A. With regard to shopping services, the Company shall only provide tools to improve security and reliability of transactions between Buyers and Sellers only. Each Buyer and Seller shall be solely responsible for the transaction made between them. 1. The Company may provide to a Member various information that it deems necessary for the Member's use of Services via mail or email, etc. 2. The Company may grant each Member certain benefits based on his/her credit rating set by his/her transaction history, etc., and notify them thereof separately. Notwithstanding the foregoing, such benefits as credit rating of a person whose membership is terminated pursuant to Article 14 expires and rejoining membership shall not recover such benefits. 4. The Company does not warrant credibility with regard to a User's use of Services connected by error through websites or domains other than the websites set forth in Article 2.1 which are directly operated by the Company or Interpark Corporation. 1. The Company shall not commit any act prohibited by laws or this Agreement or against public order and good morals, and make every effort to provide continuous and stable Services pursuant to this Agreement. 2. The Company shall provide security system to protect a User's personal information (including his or her credit/financial information) so that the User can use internet service safely. 3. The Company shall comply with relevant laws and operate a customer service center to make efforts to resolve various Members' complaints. 3. Any transmission or posting of any information other than the information designated by the Company (i.e. virus program). 4. Any infringement of intellectual property rights such as copyrights of the Company and any third parties. 5. Any act that damages reputation of the Company and any third parties or interferes with businesses thereof. 9. Any use of credit cards to illegally raise funds, any transaction subject to sanctions by the Financial Supervisory Service or other investigation agencies, and non-compliance with the Company's reasonable request for relevant documents. 10. Repeated sexual comments, threat of force causing fear, and abusive languages apparently beyond normal limits in the course of the Company's handling customer's complaints. 13. Any act related to collection and use of personal information of children under fourteen (14) without consent of his/her legal guardian. 1. A Member shall be responsible for managing his/her member information ID and password. 2. The Member shall not provide his/her ID and password to any third parties or allow them to use it. 3. If the Member finds that his/her ID and password is stolen or any third party uses it, he or she shall immediately notify it of the Company and follow the Company's instruction. C. If such contents are deemed to be related to any criminal act or may cause religious, political, or social conflicts. H. If such contents induce any transfer of sales for resale of tickets, etc. 1. In principle, the Services shall be available 24 hours a day, 7 days a week, 365 days a year unless it is interrupted by technical issues or other matters of the Company, however, excluding any times or days designated by Company such as any shutdown period necessary for routine maintenance of the Services. 2. The Company may divide the Services into parts and set separate Service times for each part of the Services, which shall be announced in advance. 1. The Company may temporarily suspend the provision of the Services due to repair, maintenance, change, breakdown of communication devices such as computers, etc., and communication cut-off, etc. 2. In the event of any suspension of the Services pursuant to Section 1 above, the Company shall notify Users thereof in the methods provided in Article 15. 3. The Company does not indemnify the Users or any third parties harmless from any damages arising out of temporary suspension of the Services for reasons described in Section 1 without Company's negligence or intentional act. 1. A User shall apply for membership by agreeing to this Agreement after he or she provides his/her member information in the application form provided by the Company. A. The membership of such applicant was previously terminated pursuant to Article 14, Section 3, except for the Company's approval of re-application of the User whose previous membership was terminated more than three years ago from the date of re-application. 3. Execution of this Agreement occurs when the Company's approval is delivered to the Member. 4. If the Member has anything to change with regard to his/her registered personal information, he or she shall notify Company thereof by email or other methods. 5. In shopping Services, a corporate entity or an individual who wants to use the Service for his/her individual business should apply for business membership, which shall require additional evidence and information. 1. The Company may reject any application or cancel the membership of a child below fourteen (14) without consent of his/her legal guardian such as parents. 1. A Member may request withdrawal from his membership at any time and the Company shall process such withdrawal request immediately; provided, however, that such Member must complete or cancel any and all procedures for sale and purchase of products being transacted before he or she notifies the Company of his/her intent to withdraw from the membership. Such Member shall be solely responsible for any loss incurred from such cancelation of relevant transactions. B. Such Member fails to make payment/obligations due for products and services purchased through the Company's Services or in relation to use of the Company's Services. 3. The Company may terminate membership of the Member whose membership has been limited or suspended to the extent that he or she commits the same breach twice or more, or he or she fails to remedy such breach with thirty (30) days from the date of the breach. 4. If the Company terminates membership of the Member, such membership is canceled, of which shall be notified such Member who shall be given an opportunity to be heard; provided, however, that any information of the Member who commits an act corresponding to any act described in Sections of Article 2 shall be kept for a certain period from the date of the membership termination to prevent any damages to the Users arising out of such act. 5. Suspension or limit on Sellers' membership shall be governed by Open Market Seller Agreement. 6. If this Agreement terminates due to any withdrawal from or termination of membership, credit rating benefits provided in Section 2, Article 4, mileage points (I-POINT), and the Services such as movie/show reservation and Tiki membership of Interpark Ticket Service expire and shall not be recovered even after he or she rejoins membership later. 2. In the event of the Company's notice to unspecified majority of the Members, posting of such notice on the Company's board shall be deemed to be an individual notice to each Member; provided, however, that the Company may send a separate notice to the Member with regard to matters significantly affecting his/her transactions. 1. A minor Member provides his/her personal information in the application form provided by the Company and agrees to a Minor Member Agreement. And such minor applies for minor membership by obtaining his/her guardian's approval thereof. 2. The minor Member must provide his/her own personal information and obtain his/her guardian's consent which shall be confirmed in accordance with site policies to use the Company's Services. The Company may confirm such information provided by the minor Member and his/her guardian's consent, and the minor Member and his/her guardian shall cooperate with the Company's confirmation procedures. 3. The Minor Member Agreement is executed when the Company's approval of his/her membership is delivered to such minor Member. 4. Any minor Member who reaches the age of fourteen (14) shall become a general Member. 1. If the Company confirms approval of the minor's legal guardian and there are no technical or business issues with regard to the minor membership application in accordance with Article 16, the Company in principle approves such minor Member's use of the Services. C. The Company finds that the minor has deceived the Company to make Company believe that he or she obtained his/her guardian's consent, which is not true. 1. The minor Member and his/her guardian may request withdrawal from his/her membership at any time and the Company shall process such withdrawal request immediately; provided, however, that such Member must complete or cancel any and all procedures for sale and purchase of products being transacted before he or she notifies the Company of his/her intent to withdraw from the membership. Such Member shall be solely responsible for any loss incurred from such cancelation of relevant transactions without the Company's negligence or intentional act. 2. The Company may terminate the membership of the minor Member whose membership has been limited or suspended pursuant to Section 3, Article 17, to the extent that he or she commits the same beach twice or more, or he or she fails to remedy such breach with thirty (30) days from the date of the breach. 2. When the minor Member uses the Services or purchases products, if the Company deems it necessary, the Company may notify his/her guardian thereof. A. Provision of false information in application or change thereof and causing the Company mistakenly to believe that he or she obtains his/her guardian's consent, which is not true. B. Any transmission or posting of any information other than the information designated by the Company (i.e. computer programs). C. Any infringement of intellectual property rights such as copyrights of the Company or any third parties. D. Any act that damages reputation of the Company or any third parties or interferes with businesses thereof. 2. The minor Members may not transfer to or provide to others their rights to use the Services and their membership status under this Agreement without the Company's consent thereto. 3. Confirms purchase information and requests the Company's or Seller's approval, etc. In the event that a minor under twenty (20) uses paid Services or executes purchase agreements, the Company must obtain prior consent of his/her legal representatives such as his/her parents, etc., unless otherwise set forth by relevant laws. 2. The minor purchases the products and the services such as tobacco and alcohol prohibited by Youth Protection Act or violates age limits provided by relevant laws. 4. Such request violates Article 7, Article 8, other relevant laws or guidelines of the government. 2. The User shall be solely responsible for any information provided by the User in relation to the purchase payments and the Company may cancel any purchase order if the payment therefor is not made within the reasonable period of time after an offer to purchase such products or services made. 3. The Company may verify the Buyer's right to use his/her payment methods and, if necessary, suspend the transaction and request submission of evidence thereof. 1. The Open Market Services provided by the Company provides an online transaction place and relevant additional Services only and, therefore, matters such as management of purchase process, performance of the Seller's obligations to the Buyer, delivery and return of the products, revocation of offers, and resolution of any disputes due to defective goods in relation to the transactions between the Buyer and the Seller shall be handled directly by such Buyer and Seller who are the parties thereto. The Company in principle shall not be involved in such matter nor be responsible therefor in any manner. 2. In relation to the sales and purchase made through the Company's Open Market Services, the Company does not guarantee existence and truthfulness of intent to buy or sell, qualities/completeness/safety/legality of posted goods, non-infringement of any third party rights, truthfulness of the information entered by the Seller Member or the contents posted in the website linked from the information. The Members concerned shall be solely responsible to any liabilities and risks related thereto. 3. Through the Company's Open Market Services, the Company holds a status of e-commerce agent pursuant to the Act on the Consumer Protection in the Electronic Commerce Transactions, etc. 4. Any Buyer protection provided by relevant laws and this Agreement (including Company's separate agreements) such as Payment Escrow Services of the Company shall not apply to the Buyer's direct dealing with the Seller. 1. In the event of the purchase request made by the Buyer, the Company shall notify the Seller of a receipt confirmation. 2. Where there is no meeting of the minds, the Buyer notified of such receipt confirmation may, immediately upon receipt thereof, may request change or cancellation of the purchase request. 3. Upon the Buyer's request for the change or cancellation of the purchase request before delivery of the products, the Seller and the Company shall comply with such request without delay. 4. If the deposit of payment for the products is not verified within seven (7) days from the Buyer's purchase request, the Company may cancel relevant purchase agreement without confirmation with the Buyer. 1. The Company provides international delivery Services so that ordered products can be delivered to recipients in foreign countries. 2. The Buyer may cancel any order on the order confirmation step age before the Seller accepts the order. Due to the nature of the international shipping, such order cannot be canceled at the stage of products being prepared. 3. Any request for return/exchange of the products due to any defects therein shall be made within a week from the date of completed delivery along with submission of evidence thereof, and if the Seller's responsibility therefor is verified, the Seller shall be responsible for return shipment and other expenses. 4. Return/Refund due to buyer's "change in mind" or causes is not allowed in the event of delivery or wrong or defective products, any exchange or return request is accepted only along with a recipient's submission of evidence thereof through the customer center after the receipt confirmation. When such request is accepted and the products are returned, the information about international delivery (shipping company and bill number, etc.) shall be provided to the customer center. 5. Prices of the products may be inclusive of customs and value-added taxes ("VATs"), and for the products of which prices do not include such VATs, subsequent VATs may be levied depending on the type of the products, price, the purpose of purchase, etc., and in relation thereto, procedures for import declaration and payment for VATs may be notified by each customs service of applicable jurisdictions. 6. A delivery period does not include any days or periods falling on public holidays, other holiday or any force majeure event such as natural disasters. 2. International shipping is available only to the products that weigh 30kgs or below per order. If actual weight of such products exceeds 30kgs, parts of the products may be returned and delivered thereafter at the Buyer's option. However, if the Buyer cannot be reached within four (4) days, the entire order will be canceled and returned to the original seller. 3. Any returns due to customs non-clearance by relevant countries is deemed to be attributable to the Buyer and any costs required for domestic return incurred therefrom shall be borne by the Buyer. Also, any products rejected by the customs shall be automatically returned to the Seller and the remaining products shall be delivered overseas. For the products rejected by the customs for reasons attributable to the Seller, the purchase price and international shipping costs corresponding to weight of such products shall be refunded. 4. Any return due to rejection of foreign customs, unknown addresses or rejection by recipients shall be deemed to be attributable to the Buyer and any domestic/international shipping charges incurred therefrom shall be borne by the Buyer. Also, such returned products shall be stored in the Company's distribution center for a maximum of ninety (90) days and if the Buyer is unreachable for said ninety (90) days, Interpark will dispose the order. If the buyers ask for refund, it will be refunded through I-Point excluding disposal and other fees. 5. In relation to international shipping Services, the recipients shall be responsible for any customs which may incur depending on countries which the products are shipped from, duties and other taxes levied by such countries. 6. The Company shall be any expense incurred from actual exceeding weight of the products less than 2 kgs (equivalent in value to KRW 7,000) other than any delivery fees paid by the User in advance. Therefore, the User shall be responsible for any expense incurred from exceeding weight 2 kgs or more (equivalent in value to KRW 7,000), and any remaining balance of the delivery fees paid in advance shall be refunded in the form of I-POINT. 1. If the Seller finds that it is unable to provide the products or the services ordered by the Buyer because such products are out of stock or the services are unavailable, it shall notify the Buyer of the reasons therefor without delay. If any advance payment for such products or services is made, such payment shall be refunded or any procedure required for such refund shall be taken within the Company's three (3) business days. 2. For any products purchased through the Company's open market, any request for refund, exchange and return through the Company after the purchase confirmation procedure shall not be accepted, and shall be handled directly by the Buyer and the Seller. 3. If the Buyer fails to perform the purchase confirmation procedure within a reasonable period of time, the Company may deem that obligations in relevant electronic commerce transactions are performed, take procedures for automatic purchase confirmation, and play a role of the e-commerce agent by making payment for the products sold, etc. Such reasonable period of time up to the automatic purchase confirmation is provided in a separate agreement. 4. The Buyer may request protection of payment deposited with the Company (escrow service) in accordance with relevant laws. 1. The Buyer who executed the purchase agreement with the Seller in relation to sale of the products, etc may revoke the offer within seven (7) days from the date of receipt of receipt confirmation. B. The value of the products significantly diminishes due to the Buyer's use or partial consumption thereof. C. The value of the products significantly diminishes by lapse of time to the extent that such goods are not resalable. 3. If the Seller fails to make it clear and recognizable that, in the event that paragraph A or B of Section 2 above occurs, the Buyer's right to revoke the offer is restricted, or fails to provide the Buyer with any trial products, such Buyer's right to revoke the offer shall not be restricted. 4. Notwithstanding the Section 1 or Section 2, the Buyer may revoke the offer within three (3) month from the date of delivery to the extent that the products are inconsistent with such agreement or advertising, or thirty (30) days from the day when the Buyer knew or should have known such inconsistency. 1. If the Seller receives returned products, the Company shall refund the payment for such products within three (3) business days. If the Company delays refund of such payment, the Company shall pay for late interest calculated by late interest rate prescribed by the Enforcement Decree of the Act on the Consumer Protection in Electronic Commerce Transactions, etc., multiplied by such delayed period. 2. In relation to the Company's refund of the payment above, if the Buyer made such payment by credit card or other payment methods provided by the Electronic Financial Transaction Act, the Company may request immediately that the business entity which provided such payment methods suspend or cancel its request for such payment for the products. 3. If the offer to purchase has been revoked, the Buyer shall be responsible for any costs required for return of the products. The Seller shall not be entitled to raise any claims for damages or penalties due to such revocation of the offer. Notwithstanding the foregoing, if the offer is revoked because the products are inconsistent with the specifications as advertised or of the agreement, the Seller shall be responsible for any expense required for return of the products. 4. In the event that the Buyer pays for any shipping charges for the products received, the Seller clearly indicates who shall be responsible for any expenses incurred from revocation of the offer. 1. The Company charges reservation fees for using the reservation Services. For the reservation of shows/concerts, movies, sports, exhibitions/leisure activities, different fees are charged depending on the membership classes and the reservation methods. The Company's policy for the reservation fees may be posted separately on the site for the ticket reservation Services, and may be amended after the notice to the Members pursuant to Article 15. 2. Unless otherwise provided per each event, notwithstanding the cancellation pursuant to Article 3 7, the reservation fees are non-refundable. 1. The Company deems it abusive use of the Services that the User who had cancelled more than fifty (50) tickets within one (1) month and cancelled another reservation for the second time regardless of the number of tickets, attempts to reserve for the third time, and therefore, may limit the User's payment method to deposit online only. 2. Notwithstanding the Section 8, Article 37, if a specific User for a specific show uses the reservation Services abusively on purpose or the Company deems it as such: for example, within the last three (3) months, such User (i) reserved no less than sixty (60) tickets and cancelled them all, or (ii) reserved and cancelled no less than twice, the Company may restrict such User's reservation of the entrance ticket for the show concerned or every shows for no less than one (1) month to protect bona fide Users. However, such User shall be given an opportunity to be heard for no less than one day immediately thereafter and if such User submits a reasonable explanation with the said period, such restriction may be lifted. 3. If the User causes damages to the Company or other Users by repeatedly making reservations and cancellations for dishonest purposes, the Company may restrict, suspend or terminate the membership of such User pursuant to Article 14. 1. With regard to the products purchased by the User, the Company indicates the delivery methods, a party responsible for the delivery fees per each delivery method, and the delivery period per each delivery method, etc. If it is delivered beyond said delivery period for reasons attributable to the Company's negligence or intentional act, the Company shall indemnify the Users harmless from any damages incurred therefrom. 2. The delivery period is set as follows: the products are dispatched the day after the payment for the products are made (for credit card and deposit online, the day after the confirmation of such payment) and a standard arrival date of ten (10) days therefrom (including delivery to regional areas) applies. However, in the event of public holidays, other holidays, or force majeure events such as natural disasters, any periods falling thereon are excluded from the delivery period, and a separate delivery period may be provided per products and services. 3. Unless otherwise provided, the Users are responsible for the ticket delivery fees basically for registered mails. If the Company finds that it is unable to provide the products or the services ordered by the User because such products are out of stock or the services are unavailable, it shall notify the User of the reasons therefor without delay. If any advance payment for such products or services has been made, such payment shall be refunded or any procedure required for such refund shall be taken within the Company's three (3) business days. 1. The Buyer may cancel tickets reserved prior to the cancellation deadline for shows/sales. 2. The Company may set separate sales/cancellation deadlines per each product and service in the manners provided in Article 37. 3. The sale and cancellation deadlines in the preceding Section are subject to change according to the circumstances of event hosts and theaters. 4. The Buyer may personally visit reservation sites or stores directly managed by the Company and cancel the tickets prior to the cancellation deadline in Section 2. 5. If the Buyers fails to take any procedure to cancel the tickets by the cancellation deadline, online cancellation or refund through the Company's ticket reservation Services is not available, and the cancellation of such movie tickets are subject to relevant theaters' cancellation policies. 6. If the Buyer reserves tickets over the phone, the Buyer may cancel them over the phone by the cancellation deadline in Section 2. 7. If the Buyer receives the tickets by delivery services, the cancellation thereof requires the return and delivery thereof to the Company by the cancellation deadline. 8. If the tickets are cancelled within seven (7) days from the date of the reservation, the Company shall not charge any cancellation fees in accordance with relevant laws. 9. In the event of the cancellation for the period other than one provided in Section 8, the relevant cancellation fees to be deducted are fixed depending on each product and service, and the cancellation fee policy is subject to change after prior notice thereof given; provided, however, that unless otherwise provided, the standards below apply. A. Notwithstanding Section 8, if the cancellation time corresponds to the time set by consumer dispute resolution standards, the remedies pursuant to consumer dispute resolution standards apply. 10. If the Buyer lost or mutilated the reserved tickets, the Company may disapprove any cancellation, exchange, or re-issuance of such tickets. A. The Buyer may cancel the tickets directly on the Company's website, etc., on the same day of the cancellation; provided, however, that the reservation time is calculated based on day, not time. B. If the Buyer cancels the tickets reserved, he or she pays for a fixed cancellation fee and any remaining balance after deduction of such cancellation fees from the refund amount for the reserved tickets shall be refunded. C. In the event of any cancellation, in accordance with partial cancellation method of relevant card companies, any pervious payment transaction is canceled and the delivery fees and the cancellation fees are paid by the same credit card used for the previous transaction depending on the time of such cancellation, or after deduction of the cancellation fees and the delivery fees, the previous payment transaction is canceled. If the payment by multiple methods (two or more payment system) has been made, such partial cancellation may be limited. The Company deposits applicable refund after deduction of the cancellation fees and wire fees to customer's refund bank accounts held by an account holder designated by a customer at the time of online cancellation. "I-Points" can be earned and accumulated by the User through the purchase of the products, events, comments, book review, show reviews, etc, which are announced in accordance with each policy of Interpark Corporation and point partnership sites. 1. Any accumulated I-Points can be used in many ways such as for shopping, games, and application for events, etc., in accordance with partnership sites' policies. 2. Each point policy in the preceding Section is subject to change in accordance with sales policies of each member sites, and each member sites shall state how to use the points in the manners recognizable to Users. 3. Any use of I-Point is possible only when the accumulated points exceed certain standard points set by the member stores, and the customer applies for conversion to "payable" status; provided that certain products designated are available regardless of the application for such conversion. 1. If the User uses the points accumulated from any purchase, etc., and such purchase is canceled (returned) thereafter, such User shall return the points used and any remaining points after such use shall be automatically deducted. 2. If any cancellation/return of such products occurs for reasons attributable to the member stores or the Seller, after relevant claims are finalized, such points are refunded. 3. The expiration period for the accumulated points, regardless of the application for conversion to payable status, as notified at the time of accumulation, shall be a specific date between seven (7) days and three hundred sixty five (365) days, and any unused mileage during the valid period shall be deleted at the expiration. Any matters related to the Seller are governed by the Interpark Global Shopping Global Seller Agreement and the Open Market Seller Agreement. 1. This Agreement is the basic agreement of the Service use agreements executed between the Company and the Member. The Company may, if necessary, set forth terms and conditions to be applied to specific Services ("Separate Agreement") and provide advance notice thereof. When the Member agrees to such Separate Agreement and uses the specific Services, the Separate Agreement shall prevail and apply first, and this Agreement applies thereafter. 2. The Company, if necessary, may set forth separate terms and conditions related to use of Services (use policies, etc.) and provide prior notice thereof through the Company's website, etc. 1. If a major mall and a minor mall are linked by hyperlink method (i.e. items including texts, graphics and videos, etc., may be hyperlinked), the former is referred to as a linking mall (website) and the latter is referred to as a linked mall (website). 1. Any copyrights of the contents registered with the Company, unless infringing any third party rights, vest in an individual who posted them. 2. Any copyrights and any other intellectual property rights of copyrightable materials provided by the Company vest in Company. 3. The User shall not use or allow any third party to use any information obtained from using the Company's Services through reproduction, transmission, publication, distribution, broadcasting or other methods for commercial purposes without the Company's prior consent. 4. Any copyright of the contents provided by the Member on the Company's website vest in such Member, and the Member shall be responsible for such contents' infringement of any third parties' intellectual property rights. 5. If the Member posts the materials created and registered by such Member and later request to the Company removal thereof, the Company shall remove it immediately; provided that without such request, the Company may continue to keep it posted. 6. If any third party claims that the Member's contents infringe his/her copyrights or other intellectual property rights, the Company may suspend posting of or remove the contents in accordance with laws. 1. The Company will operate the customer center to protect the rights and interests of Users and Members in accordance with relevant laws and the Company policy and the damage center to handle the Users' reasonable opinions and complaints, and any damages incurred therefrom. 2. The Company makes efforts to handle complaints and opinions submitted by the Users first and may mediate discussion between the Users and the Sellers for shopping Services in the Open Market; provided, however, that if any dispute cannot be resolved promptly, the Company shall make efforts to resolve it by notifying the User of reasons therefor and resolution schedules related thereto. 3. In relation to any disputes between the Seller and the Buyer or between the Company and the User in the shopping Services in the open market, if the User makes any request for relief, the Company may explain to him/her about how to apply for mediation of Fair Trade Commission or other dispute mediation organizations. 1. Any litigation regarding e-commerce transaction disputes between the Company and the User shall be submitted to an exclusive jurisdiction of a local district court where the User resides or if there is no such residence, where his address is located instead; provided, however, that if such User's residence or address is unknown or he/she is a foreign resident, such disputes shall be submitted to the jurisdiction of any applicable court in accordance with Civil Procedure Act. 2. Any litigation regarding the e-commerce transaction disputes between the Company and the User is governed by the laws of the Republic of Korea. This English translation of the Agreement is provided by the Company for your convenience only. In case of any discrepancy between the Korean version and English version, the Korean version shall prevail in all respects to the extent permitted by law.